Geography: South West, Devon. Parts of East Devon and Mid Devon council areas. Main population centres: Tiverton, Honiton, Axminster, Cullompton, Seaton. Profile: Covers the eastern part of Devon along the borders with Somerset and Dorset. It includes parts of two areas of outstanding natural beauty, the East Devon AONB along the south coast and the rolling Blackdown Hills along the boundary with Dorset. Tiverton and Honiton are both former lace-making towns. Tiverton was the more industrial, heading the lace-making industry in the South-West under the industrialist John Heathcoat and his family who provided several MPs for the seat in the nineteenth and twentieth century (David Heathcoat-Amory, the former minister and MP for Wells, is his great-great-grandson). It is now largely a dormitory town for Exeter, swollen by private housing development to the north of the town. Other sizable settlements include Axminster, a small market town that gives its name to a type of carpet, the seaside town and popular retirement locaton of Seaton. Politics: A safe Tory seat created in 1997 by the merger of the Tiverton and Honiton seats, both solid Tory seats in their own rights. NEIL PARISH (Conservative) Born 1956, Bridgwater. Former farmer. Sedgemoor councillor 1983-95, Somerset council 1989-93. Contested Pontypool 1997. MEP for the South West 1999-2009. First elected as MP for Tiverton & Honiton in 2010. NEIL PARISH (Conservative) See above. CAROLINE KOLEK (Labour) Educated at Open University. Teacher. STEPHEN KEARNEY (Liberal Democrat) Charity chief executive. Contested Henley 2008 by-election. GRAHAM SMITH (UKIP) Small businessman and former transport manager. Glancing at the name of this no-doubt idyllic place I thought it sounded like such an archetypally safe rural Tory seat that no-one would have even commented on it yet. Turns out I was right! I wonder how many of these pages still have no comments registered now that it’s election year? And can anyone think of anything interesting about this constituency? Well, the religious demographics may be somewhat extreme – can anyone find a seat with fewer people from religious minorities than this one? Christians + atheists = 99.7% in this seat. In other words, this seat is interestingly dull. Actually, scrap that, this is pretty much true across the region. Interesting that the Lib Dem vote fell by 6.9% in 2005, in a seat they came within 1, 653 votes of winning in 1997. Notice also how the only two other decreases across Devon as a whole were actually in seats the Lib Dems have at least held at some point, unlike this one where they have never won at all. The 5% decrease in Torridge and West Devon was largely down no doubt to the retirement of John Burnett, while the strikingly large 9.7% decrease in Torbay for Adrian Sanders was possibly a slight correction of the 2001 result where he got a massive vote share increase as the incumbent, but maybe more down to the volatility of the area’s local voting patterns, with the council going back and forth between the Lib Dems and Tories over many years, perhaps helping to explain the eccentric swing back to the Tories in 2005. Surprising this seat has just 6 comments. It’s far from being the most boring constituency in the country. I live in the constituency, in one of the rural villages. I’m a London ex-pat, as it were. NOT for white flight reasons: for sustainable living reasons. People here define themselves as Christian in the same way I saw Londoners define themselves as Christian twenty or thirty years ago – for traditional reasons rather than faith or belief. People aren’t religious here: church attendance is tiny. People vote Tory because they distrust an urbanite Labour party. They still haven’t forgotten the foot and mouth debacle, for instance. Caroline Kolek was just elected mayor of Honiton. Even if you’re not a Labour supporter, Rural Labour is an interesting Twitter feed. They’re not as dead in the country as the Tories are in lots of the cities, it seems. That’s correct, Labour are usually about twice as strong in rural areas as the Tories are in most inner cities in places like Liverpool, Manchester, Glasgow. I wouldn’t extrapolate too much from one mayoral election. There used to be a Labour mayor in my local town in Dorset who was elected purely on the basis of his personality. Labour always polled poorly at general elections. More broadly, in the SW rural seats Labour now frequently sit in third, fourth or even fifth (i.e. Somerton & Frome) place with a vote share of about 10% – even after the Lib Dem collapse. They have minimal organisation and often do zero effective campaigning in these seats. Oh I wouldn’t say they do WELL – just that they do better than Tories in inner-city areas, as Andy says. Im not sure I agree. There is a reason the political map of England is fairly solud blue. How many rural seats do labour hold? Not many at all, and most are trending tory. A few in South Yorkshire, County Durham. A couple in the north midlands that are quickly moving blue. When was the last time labour held such a small geographic portion of the uk? Forest of Dean was once a rural stronghold decades ago, but with the decline in industry in Cinderford and Coleford, it has slipped from their reach altogether. It’s a regional thing rather than rural-urban, isn’t it? The Tories do very poorly in Merseyside, Manchester, Newcastle and Sheffield but they have perfectly respectable vote shares in London, Leeds, Bradford and Birmingham. Similarly Labour do better in most ‘rural’ seats in the north than they do in the SW, SE or East Anglia. Be careful also what you define as ‘rural’. In my region there are seats like Yeovil and Sth Dorset with large rural hinterlands but where the voters are quite concentrated in built-up areas. And in the north you have ‘rural’ seats where lots of voters live in ex-pit villages, giving them a very different (though fading) political dynamic. 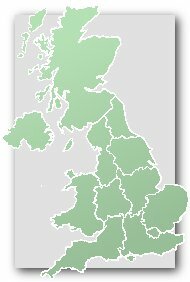 ‘When was the last time labour held such a small geographic portion of the uk? Yes Labour’s failure to appeal in rural and small town England, plus its catastrophic collapse in Scotland, is a pretty deadly combination. They are slowly losing ground in Wales, too, of course. Mass immigration isn’t helping them as much as they might hope either. It has delivered a few seats in London but probably not too many more any time soon. And outside London the impact is pretty limited – especially with a large share of immigrants being from the EU (can’t vote) and those from the Commonwealth usually going to places with established communities (just reinforcing the existing situation). In fact, I suspect Labour’s bad results in constituencies bordering some cities partly reflects a negative side-effect of immigration (for them) i.e. white flight. Very strong result for Neil Parish here- a 3.7% increase in vote share, and a majority of 20, 156.